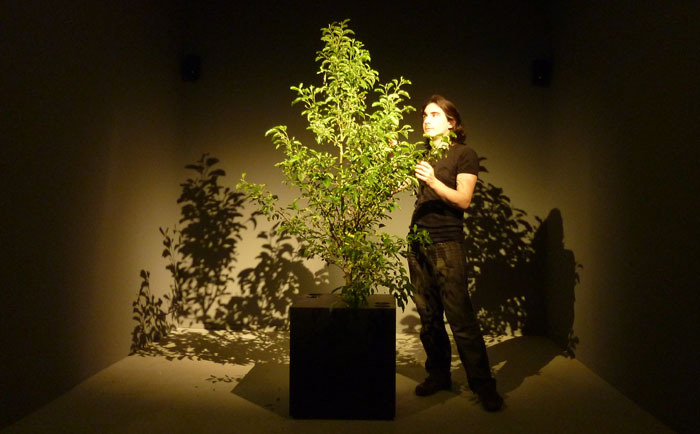 Phonofolium is an interactive artwork with a living tree reacting to the human touch by a sound, a voice. This tree «language» occurs through touch and the close proximity of the spectators, thanks to their electrostatic energy. The tree sings when the audience is touching or stroking lightly it. In their artwork, the artists Scenocosme create hybrids between plants and digital technology. Plants are natural sensors and are sensitive to various energy flows. 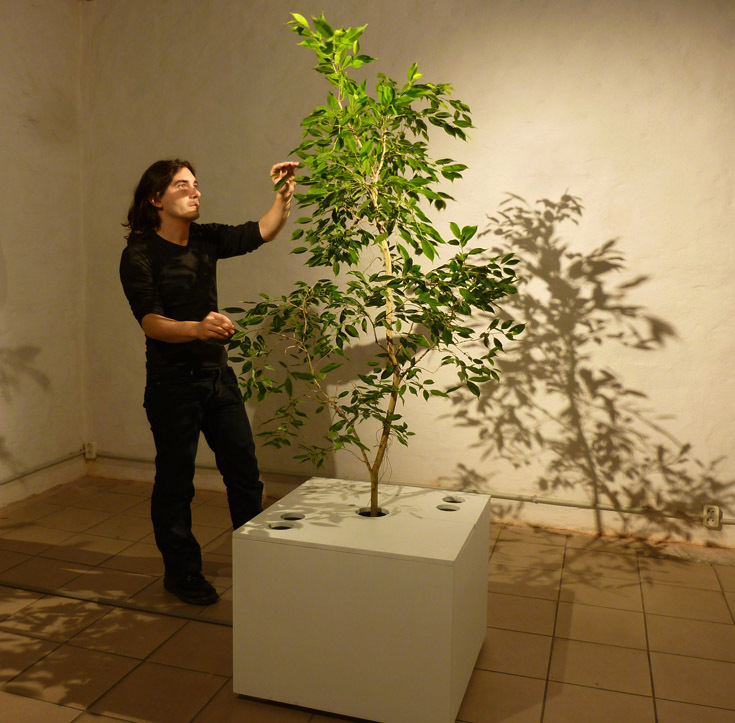 Digital technologies permit them to establish a relationship between plants and sound. They display the effects of random data flow and plant interaction. The data is modified as the spectator meanders around and touches the installation, resulting in a random musical universe. 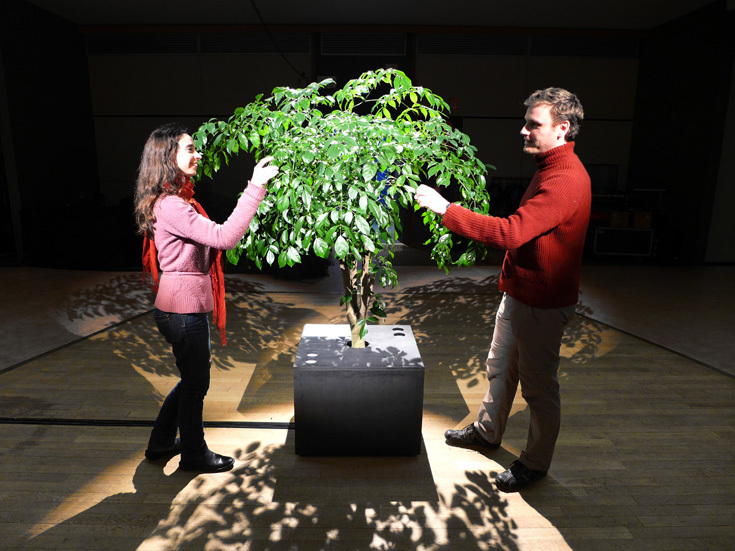 Audience contacts with plants generate sound effects and change in the texture of the sound. There is a specific vegetal language through sonorous compositions. They signify a character, a behavior having a feedback, an influence on the reaction, on the feeling and on the approach of the spectator. Mixing reality with imagination, Scenocosme offer a sensory experience that encourages us to think about our invisible relationship with other living being. Phonofolium let us know about their existence by a scream, a melody or an acoustical vibration.